If confirmed, the killings would mark the deadliest bout of violence in years to hit a region wracked for decades by a low-level independence insurgency. Citing local police, Indonesian media reported late Monday that the workers were shot dead on Sunday in Nduga, a district in the centre of the far-flung region on the western half of New Guinea island, just north of Australia. “Some media are saying 31 workers are dead, some 24, so we really need to check ourselves,” said Papua military spokesman Muhammad Aidi. “We think they’ll be expecting us,” local military chief Jonathan Binsar Sianipar told AFP. A group of workers reportedly managed to escape the shootings, which were allegedly sparked by separatists angry at some workers taking pictures of pro-Papua independence activities. The violence was reportedly carried out by rebels who have long fought against Jakarta’s rule. Indonesia routinely blames separatists for violence in Papua. Authorities would “chase these criminals wherever they are”, said national police spokesman Muhammad Iqbal. “But we need to check whether it was really (the rebels) or not,” he added. 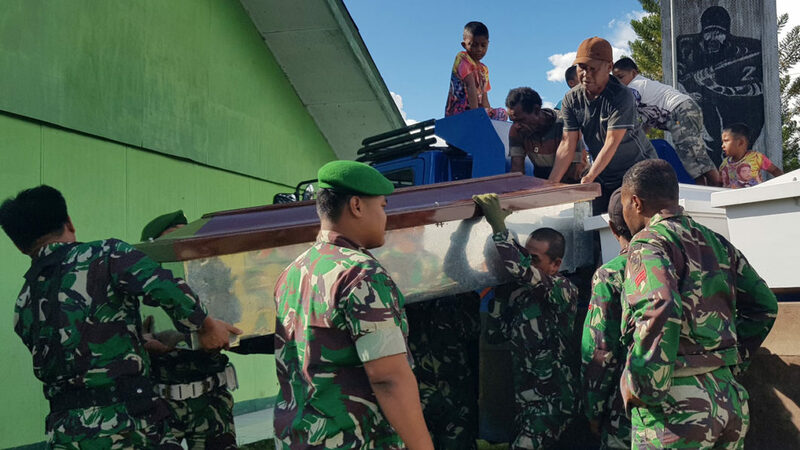 The suspected killings could be the worst outbreak of violence in a “very, very long time”, said Sidney Jones, director of the Jakarta-based Institute for Policy Analysis of Conflict (IPAC). “Every time we have had a significant incident that has involved military deaths, even though the main victims here were civilians, it is followed by massive retaliatory response,” she added. The suspected killings came as more than 500 activists — including an Australian — were arrested in a nationwide police crackdown that coincided with rallies on December 1, a date many Papuans consider their anniversary of independence from the Dutch. The deaths followed a gunfight that saw a small plane carrying police officers — sent to oversee the local elections — shot at as it landed at Nduga. Some of the violence has been centred on protests against a huge gold and copper mine operated by US-based firm Freeport McMoRan — a frequent flashpoint in the local struggle for independence and a bigger share of the region’s resources.